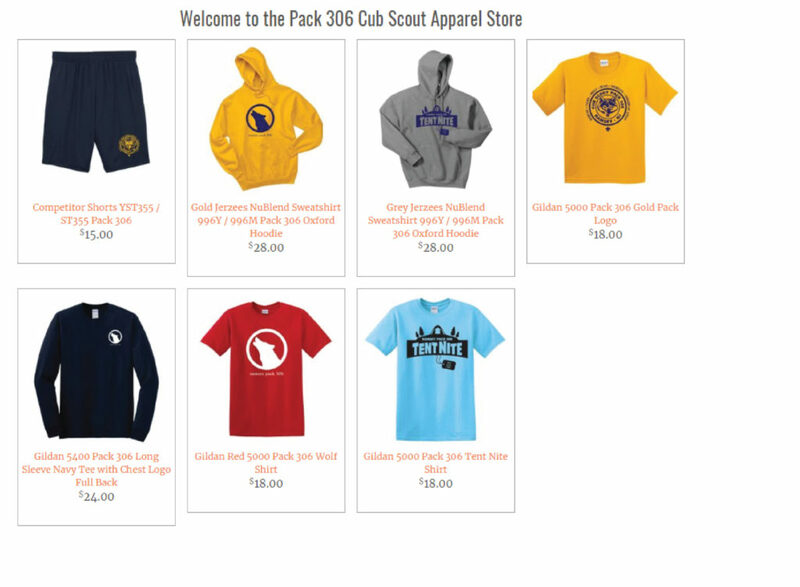 Get your PACK 306 gear today! Orders must be placed by October 5th and will be available for pickup at our October 19, 2018 PACK Meeting. Click here, or the screenshot below to link to our order page.